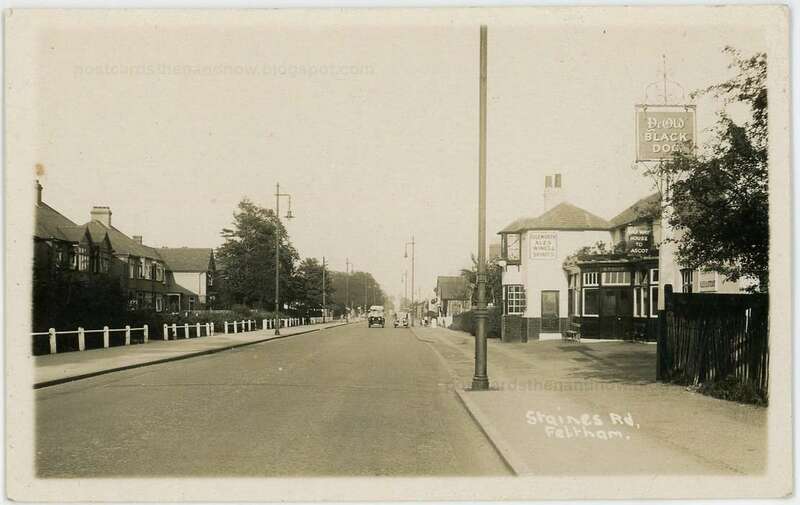 Bedfont, Middlesex, Staines Road, The Black Dog circa 1930. The old Black Dog pub you see in the postcard was pulled down and replaced by a stylish modern building in 1968. 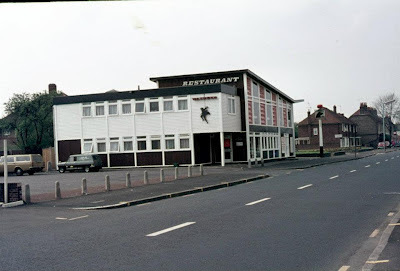 The replacement pub (pictured in 1975 below by Ed Ashmore and shown from the opposite direction) was pulled down in the early 1990s and we are left with the sight we see here in the Google Street View - some flats, a car park and a car repair garage. 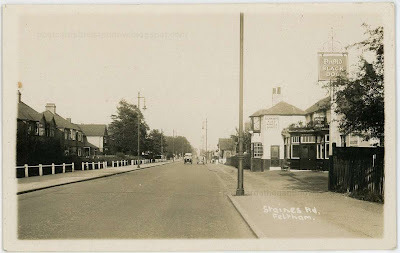 Postcard by Charles Mitchell of Hampton. Click the pictures to enlarge.